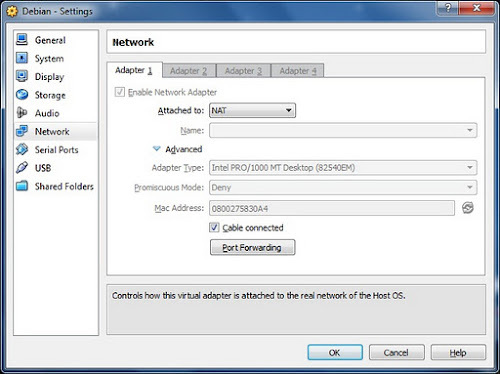 Machine - Settings - Network - Attached to - NAT - OK. 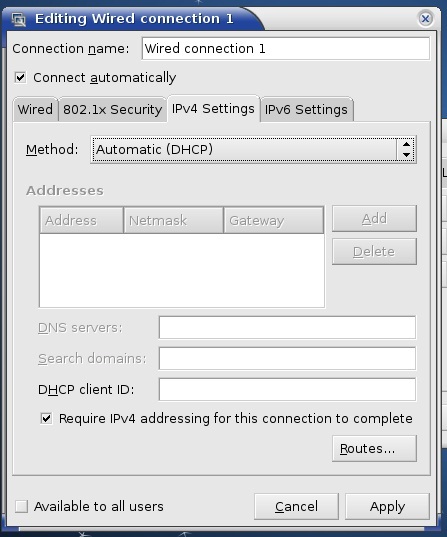 Right click on your network connection (Top Right) - Edit Connections - Choose your connection's name - Edit - IPv4 Settings - Automatic (DHCP) - Apply. 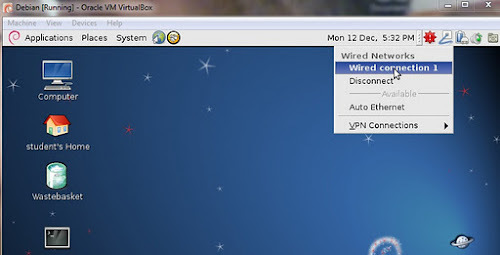 Click on your Network Connections - Disconnect from your current connection - Connect to the connection that you've chosen above. Even if you're already connected to the connection above, you still need to disconnect from it and reconnect again, if you want your machine to get a NAT'd IP. 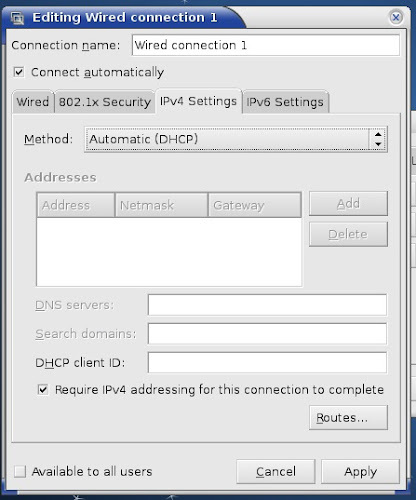 Now, launch a browser in Debian and verify that you're connected to the internet. 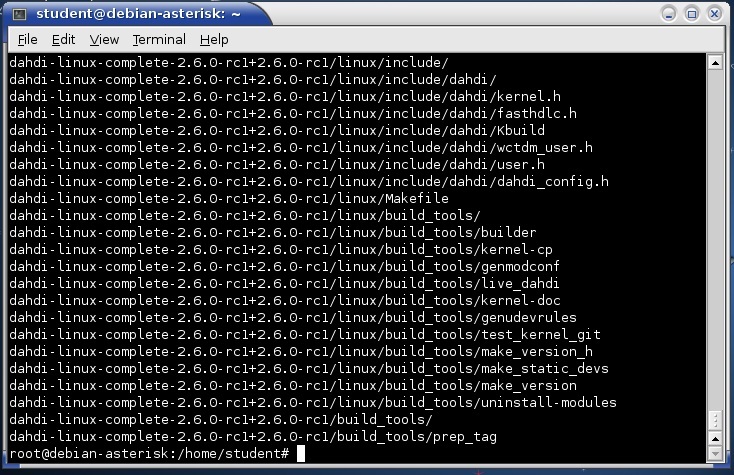 Fire up your Terminal, and go into super user mode by typing the command below. 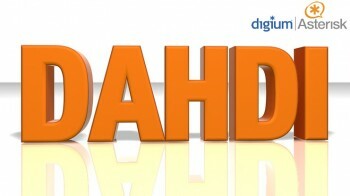 Type in (or copy and paste) the command below to get the complete DAHDI package from Digium's server. Your download should start automatically when you press Enter. By now you should be familiar with entering Terminal commands. Enter the following lines, ONE AT A TIME. The last three lines will take awhile to install. If you've done everything right, you should have successfully installed the complete DAHDI package, and your Asterisk audio conferencing should work fine. To verify your installation, type the command below. If you don't see any errors, that means you're fine. Otherwise, you're screwed. One more IMPORTANT thing. Reverse what you've done in Steps 1 and 2, otherwise you won't be able to ping your local machines. Good luck for your assignments, and happy holidays! Awesome about being able to do this is DV. If you can post the directions here that would be awesome! @Jon: Hi Jon. I'm sorry I don't quite get that. What instructions would you like me to post here?